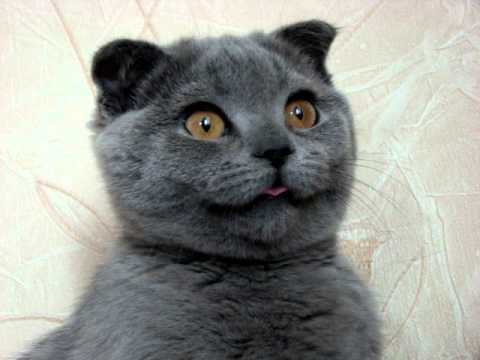 There are 33 cat videos tagged with scottish-fold. Sgt. Grumbles AKA Grump, an orange Scottish Fold, is pretty obviously not interested in being tickled. 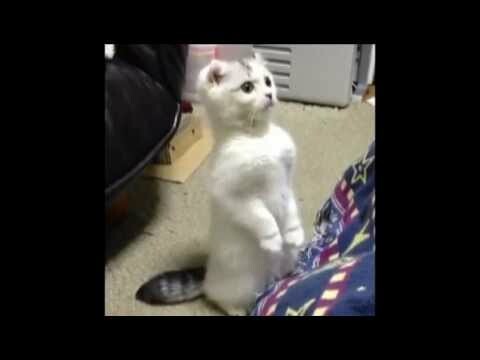 The way he stretches out to get away from his owner's hands is so cute! 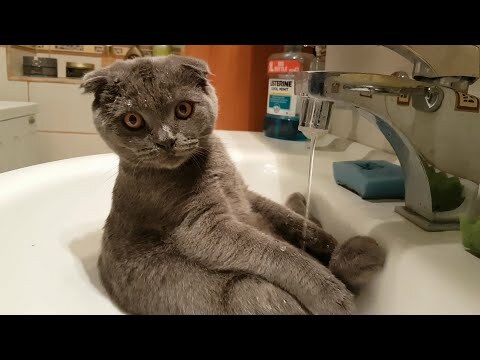 Water isn't usually something that cats are very comfortable with, but this Scottish Fold is a big fan. The gray cat lets the water drip on its head, sometimes drinking it and sometimes using it to clean. 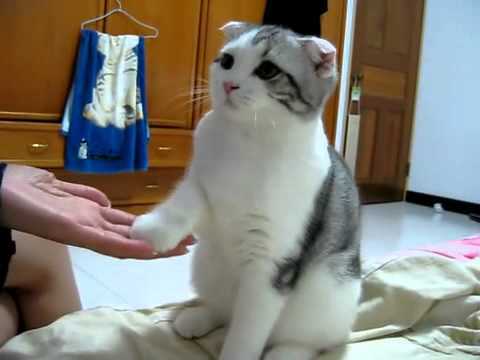 This adorable Scottish Fold knows how to high five and is happy to show off the cute trick with her owner—for a treat, of course! 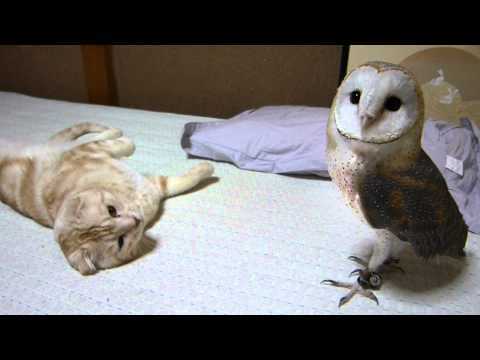 And okay, it's more of a low five... but it's still so cute! 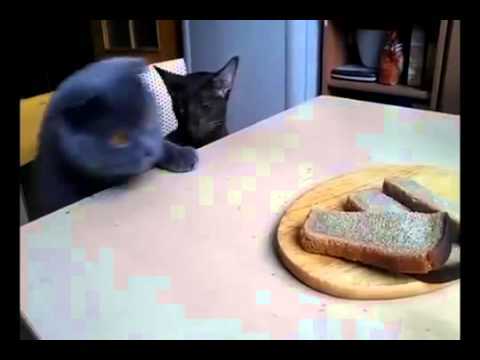 An adorable brown tabby Scottish Fold stands up on a chair at a table admiring a platter of meat. 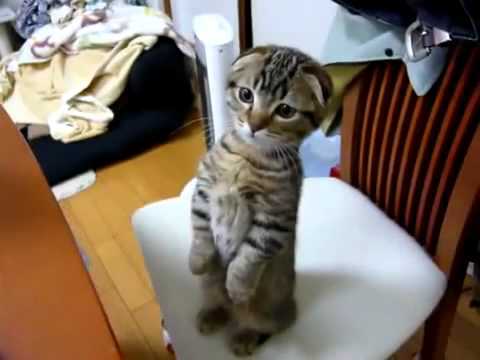 Surely it deserves a little treat for being so cute!